It’s already Thursday, and it’s time for another edition of Only in Jersey! 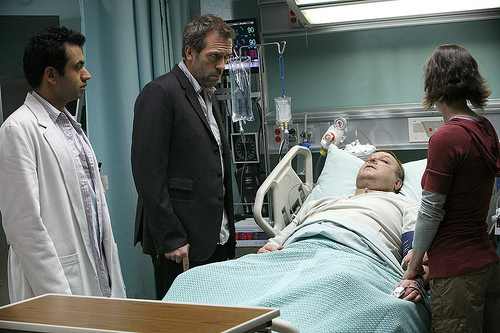 Fox has pulled the plug on its hugely popular series “House.” The show, currently in its eighth season, takes place at the fictitious Princeton-Plainsboro Teaching Hospital. According to Entertainment Weekly, the series will wrap up the end of this season. The mag also reports that star Hugh Laurie said in November that he planned on retiring from television acting once the show ended. Meanwhile, the real Princeton-based hospital is flourishing: it is scheduled to move to a new, state of the art facility in May and officially be renamed University Medical Center of Princeton at Plainsboro. Who says life doesn’t (at least partly) imitate art?